We’re reorganizing our website and moving things around! 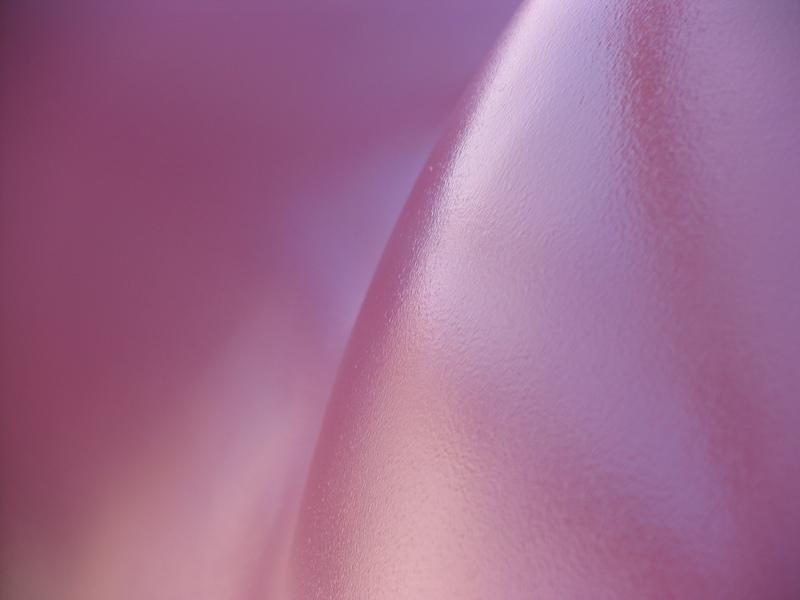 Here’s a piece about a project from 2005 . . . 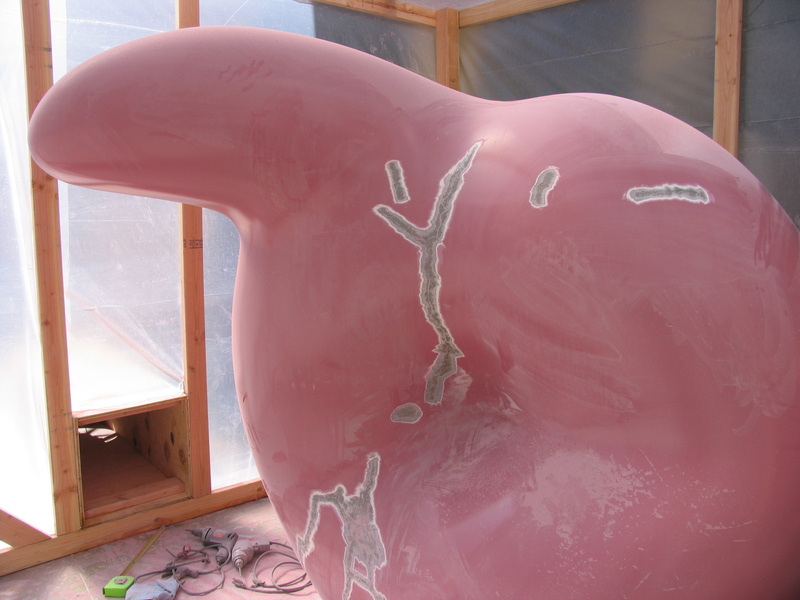 In 2005, Claes Oldenburg’s Soft Inverted Q underwent conservation treatment at the Cantor Arts Center. Since the reopening of the Center in 1999, the condition of the sculpture had deteriorated; the surface had been blistering and cracking due to expansion and contraction in the sun and possibly due to moisture in the cast cement form. The sculpture was moved into the interior courtyard of the Center to prevent further damage from the sun and temperature fluctuations. 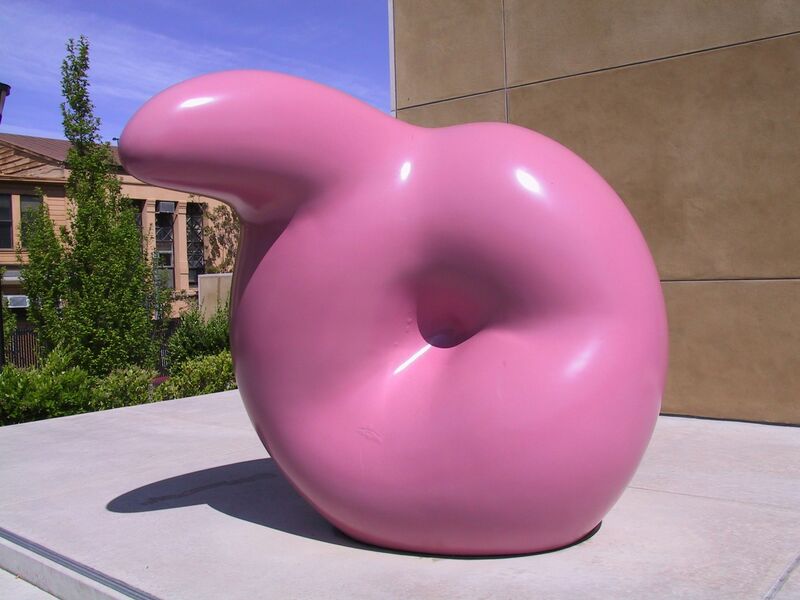 The sculpture was repainted in a color known as “Oldenburg Plum,” a specific formula developed for this sculpture by the artist and chemists from the TNEMEC paint company. Before the repainting could be carried out, however, the blisters in the original paint coat needed to be excavated and the surface refilled to eliminate irregularities. The repainting took place on site. Whoops! Thanks for letting us know!